Let’s face it: education is expensive. And that’s before adding in an international component. Few students can afford the cost of attendance with the money that’s sitting in their bank accounts – their bank, their parent’s bank, and the accounts of half a dozen close friends and family members. The chances are good that you’ll need an educational loan. (And, hey, if you manage to secure a full ride scholarship or you happen to stumble on the funds needed, we’ll happily celebrate with you.) And even though it may not appear that way at first, there are options out there. But, you should never accept the first loan that comes your way; that’s not financially responsible. It’s always a good idea to compare financing offers – whether you’re buying a home or pursuing a master’s education abroad. To do that, you’ll need to know what you should be comparing. What goes into an educational loan? At the very heart of any loan is the principal – or the amount you receive from the lender (or, in the case of Prodigy Finance loans, the amount disbursed directly to the university). Loans provided by banks, private lenders, or governments usually attach an interest rate to the principal amount rather than a flat fee. The interest rate is the money a lender makes for providing you with the capital you need. Often, interest rates are applied to the outstanding principle amount. So, if you owe $10,000 currently, your interest will be calculated using that amount multiplied by the interest rate. Next month, when you owe $9,500, your interest is calculated in the same way. And it continues to compound. And, yes, it can be as complicated as it sounds. Most loans also have additional fees built into the structure. In most cases, these are administrative fees which are applied once off at the time of loan origination (but not always as different banking systems have different norms). These aren’t principal amounts, but they’re also not interest amounts. All the same, they need to be accounted for in the cost of the loan. There are also grace periods and repayment periods that affect the total amount you will need to repay. And that’s before working in the effects of interest as it’s applied to the principal amounts over time. In an ideal world, you would look at a couple of different loans with the same principle in the same currency. (Though, if you’re considering international study, that’s probably not going to be the case.) And, if it was a simple case of principle plus interest rate, you should be able to decide which loan to take rather quickly. But it’s not an ideal world – and there are those fees, loan terms, and compound interest to consider. That’s where APR comes into play. The annual percentage rate (APR) takes into account all components of a loan so that you can compare apples to apples. 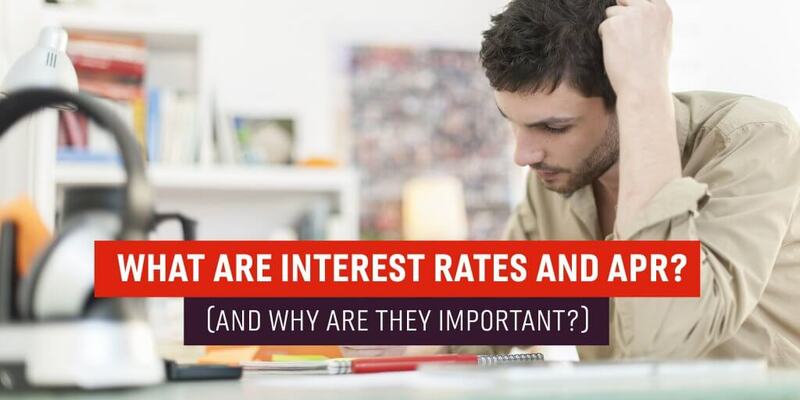 It’s critical to consider APR rather than interest rates because many banks advertise their margins (which are interest rates on top of base rates) and going with the lowest advertised interest rate can be a false economy. Don’t worry; it’s easier to understand when you’ve walked through an example of APR calculations. This video from Prodigy Finance explains it clearly. As you can see from Carlo’s example in the video, there can be massive differences in the total amount paid on a study loan – in many cases, it amounts to thousands of dollars (or pounds, or euros) and your future self will thank you for saving that money. Post-grad education is an investment in your future; if you consider only the principal amount disbursed or interest rates alone, you may be negating your success without realising it. Of course, as an international student, you have to find available educational financing first, and that’s not always easy. Your options are tied to the country you come from and the one you’re going to – and your credit history won’t follow you across international borders. That’s where Prodigy Finance comes into play. Prodigy Finance is a lending platform that provides postgraduate loans to international students from 150 countries attending the world’s top universities, who would otherwise have no alternative access to finance. Loans are extended according to the company’s predictive model rather than your past. Your loan amount is reflective of the amount you can earn post-MBA based on the salaries and metrics of students previously in your situation. At some schools, loans may cover the full cost of tuition; at others, it’s possible to borrow 80 percent of the total cost of attendance. It’s a little more complex than the formulas banks use, but then, international educational financing is all Prodigy Finance does. Now, celebrating its tenth anniversary, Prodigy Finance makes it possible for students to register and see how much they’ll qualify for before applying to MBA programmes. The loans are collectively funded by a community of alumni, institutional investors and qualified private investors who receive both a financial and social return. Since 2007, Prodigy Finance has provided more than US$323 million in funding to over 7,100 students with exceptionally strong repayment. Take a moment to learn more about Prodigy Finance loans and which schools are currently supported. After all, funding shouldn’t be a barrier to education – nor should it keep you up at night; your GMAT prep will do that all by itself. • Having Trouble Securing a Loan for Your International MBA?